Gravitate Design will Put a Bird In It! 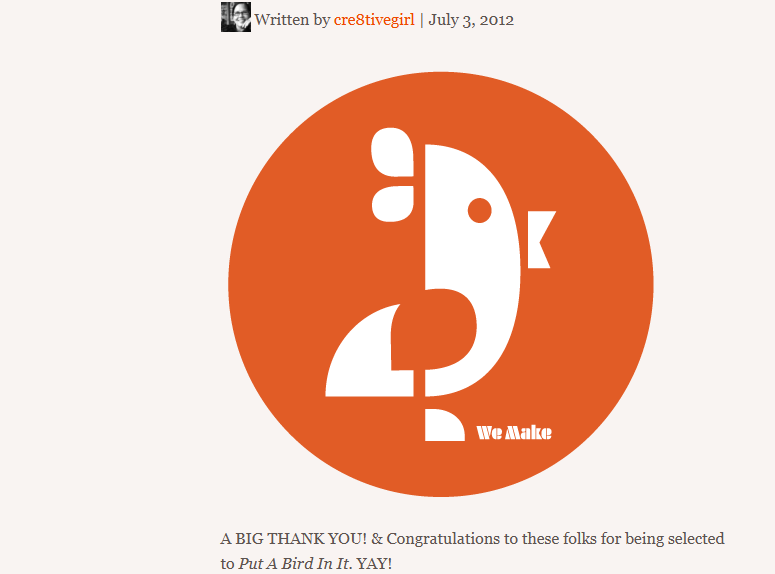 Gravitate Design’s team will be contributing to the WeMake community art project Put A Bird In It for Portland Design Week. The project will help support the arts in public schools. We’re definitely excited! !